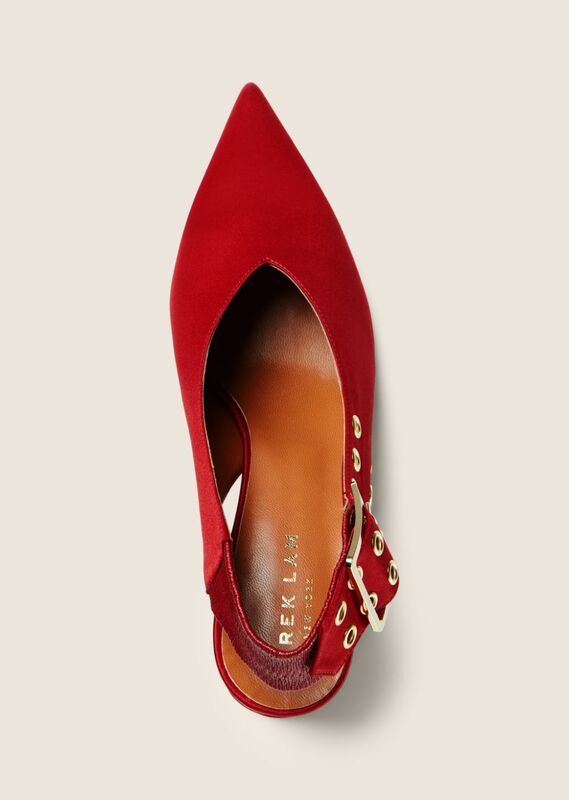 Pointed-toe slingback pump in lustrous deep red satin with grommeted double pin buckle back strap. V-neck entry. 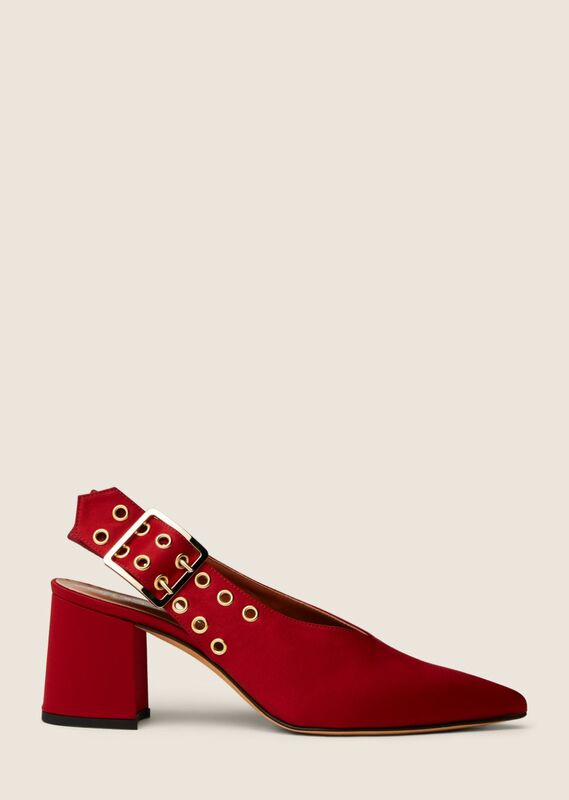 Tonal satin-covered block heel with rubber cap. Leather sole, insole, and lining. Gold-tone hardware. Handmade in Italy.